Fr. Jeffrey Frate and Presvytera Marisa were born and raised in Rochester, NY. Shortly after they were married, Jeffrey began attending Monroe Community College, earning an Associate’s Degree, majoring in Fine Art. After this, while he had applied and been accepted to SUNY Brockport to complete a Bachelor’s Degree in Fine Art, he decided instead to pursue a Degree in Religious Studies at St. John Fisher College, since the things that he was trying to express through painting were essentially spiritual in character. He hoped to continue painting on his own, while at the same time deepening his understanding of theology and spirituality. Fr. Andrew is the Vicar of the Southwest Vicariate, and a brilliant writer and pastor. Since 1995, Fr. 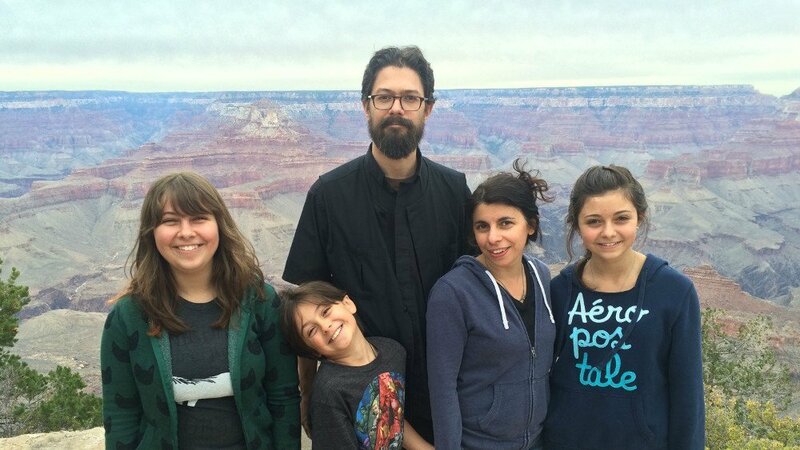 Andrew Barakos has been the priest of Assumption Greek Orthodox Church in Scottsdale, Arizona. 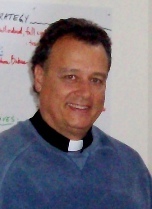 He is currently, the vicar of the southwestern region of the Metropolis of San Francisco. Fr. Andrew is a board member of the Trustees, Hellenic College/Holy Cross Greek Orthodox School of Theology, the Metropolis Council of San Francisco and the Commission on Missions and Evangelism. His dedication to serving the people who established St. George has kept clergy coming to preach the Gospel and serve the sacraments for over a decade. 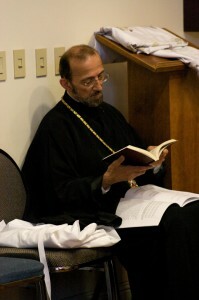 He is a past member of the Archdiocesan Council of the Greek Orthodox Church. Read more about Fr. Andrew here. He is the author of a number of articles published in periodicals in the area of psychology, and is a member of the American Psychological Association (APA) and the American Counseling Association (ACA). Read more about Metropolitan Gerasimos here.